Madeira Island is without a doubt the best popular tourist destination and a point of attraction for cruise liners around the globe. Madeira is well-known worldwide for its superb Wine, Sugar and Embroidery industry since the 17th century, whose trading became extremely valuable during the years. Visitors still flock to the island today, whether by plane or cruise ship, drawn by its scenery, exceptional climate and the many astounding events all year round. Although most visitors spending holidays in Madeira arrive by plane, the shore excursion market represents almost half a million visitors per year, many of which only stay for a day. 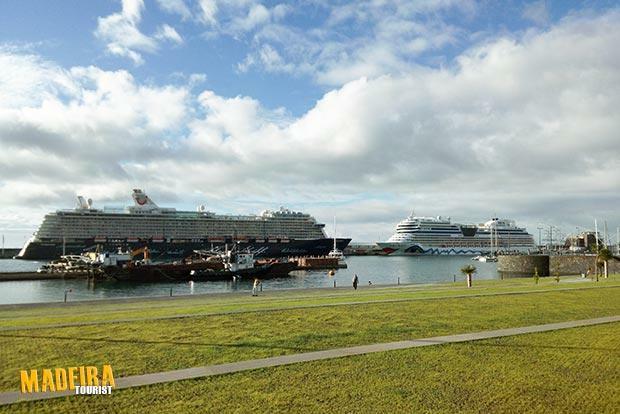 On December 31, the meeting between cruise ships in the bay and around the amphitheater of Funchal is already part of the tradition of the holiday season in Madeira. Madeira New Year's Eve is, par excellence, one of the hot spots to be on the 31st of December, due to the magnificent firework display in Funchal amphitheatre. The fantastic bay of Funchal is filled with thousands of tourists from around the world who visit the island to celebrate New Year's Eve (awarded by the Guinness Book of Records for the largest firework display in the world on 31st December 2006). 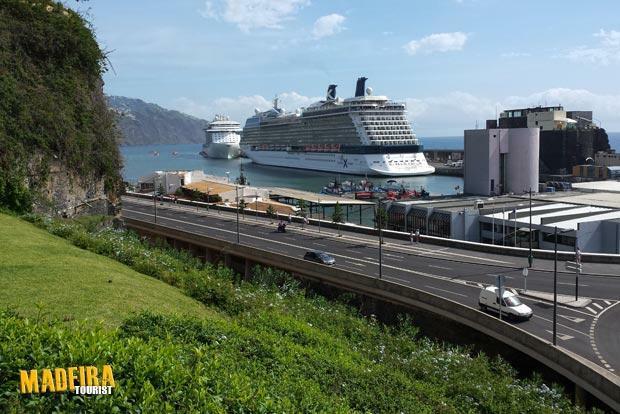 Besides the existing pier in Pontinha, Funchal, the new liners pier terminal was an exciting addition to Funchal’s city centre, expanding its capacities to berth more and larger, luxury cruise liners, as well as private yachts. The modernization project also included an extension to the existing Yacht marina, a new promenade (Praça do Povo) and gardens. 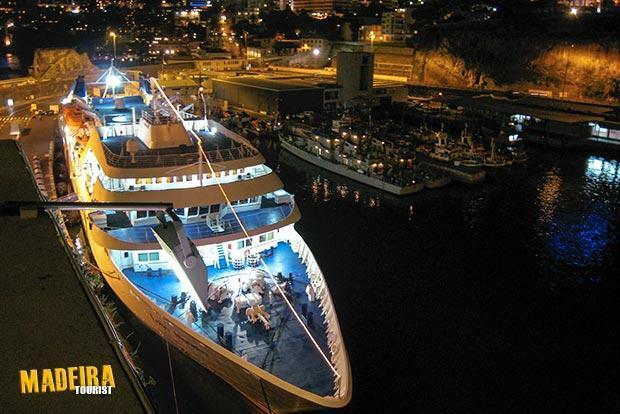 Every year Funchal receives the visit of several beautiful cruise ships and luxury yachts for New Year's Eve. The thousands of passengers, eager to contemplate one of the world’s most impressive firework displays, arrive on luxury liners operated by different companies, namely P&O Cruises, AIDA Cruises, Cruise & Maritime Voyagers, Saga Holidays, Fred, Olsen Cruise Lines, TUI Cruises, Thomson Holidays and Portuscale. 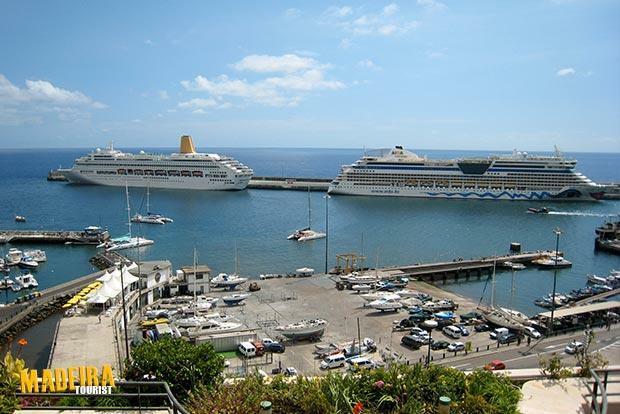 Click here to see the cruise ship calendar for Funchal, Madeira.